Our vision is to provide all children with an excellent education which reflects their individual needs and enables them to achieve their potential. We are committed to raising standards in education and to sharing our knowledge and experience with others as well as learning from them. We want to create an environment where children love learning and develop the self-confidence to aim high in all that they do. We work to create schools which will be a first choice for parents and staff. Do you share our passion for education and want to make a difference to children's lives? We currently have vacancies for a variety of new staff - view our current vacancies in 'Working with Us'. 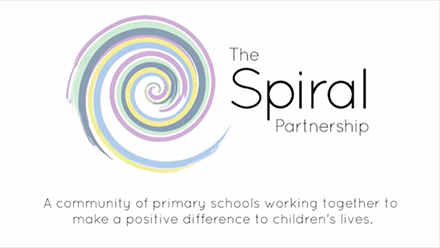 We are delighted to be welcoming Springmead Primary School and Mount Pleasant Primary School to our Spiral family of schools. We look forward to working with you.